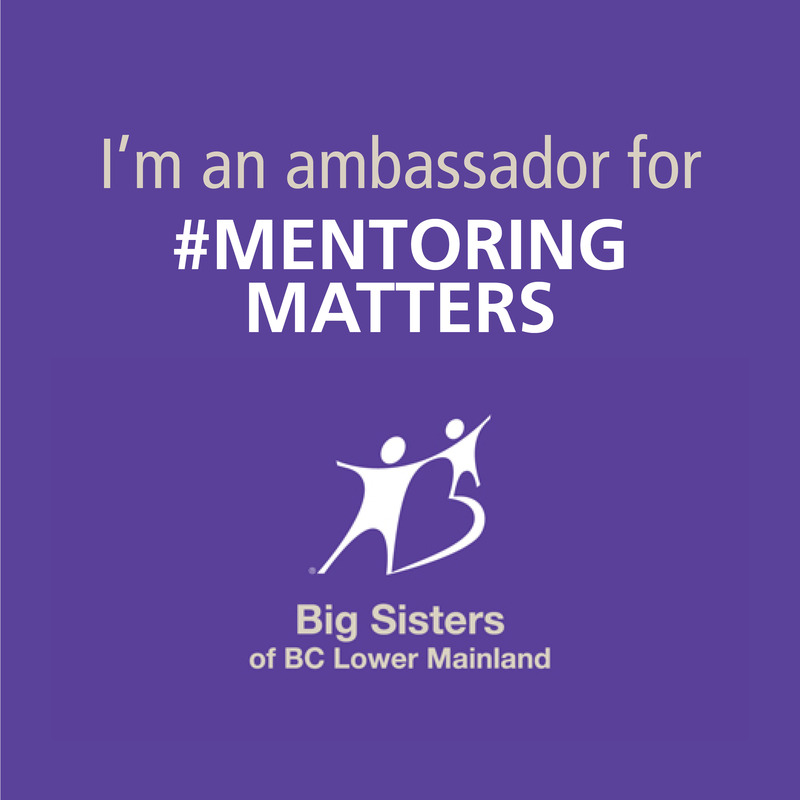 We all know reading with our children is a fundamental component to boosting our children’s learning potential. It’s also a great way to spend time individually with each child, in turn creating a strong bond. In addition, reading helps children master logical thinking skills, problem-solving skills, language skills, and communication skills. My preschooler loves Pete the Cat! 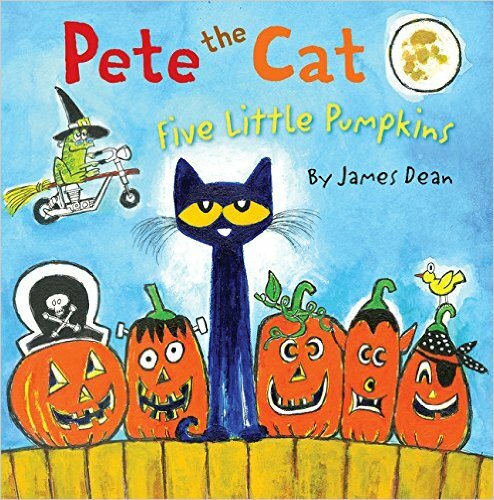 In this story, Pete the Cat takes on the classic favorite children’s song “Five Little Pumpkins” My daughter and I have rocked out to this cool adaptation of the classic Halloween song. 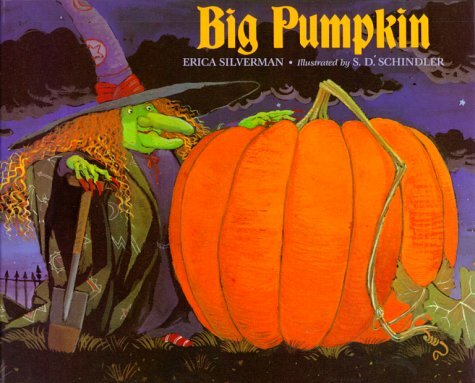 Big Pumpkin by Erica Silverman is my personal favorite children’s Halloween story. The witch has grown the biggest pumpkin ever, and now she wants to make herself a pumpkin pie for Halloween. But the pumpkin is so big she can’t get it off the vine. Some of the witches Halloween friends, including a ghost, vampire, and mummy come to help pull the pumpkin off the vine, but they can’t, until… the bat arrives to save the day! The witch and others underestimate the bat because of his size, but you’ll be surprised at how the bat’s idea saves the day! I love the many lessons hidden in this story. It’s a great one to act out if you’re a teacher. You can get some of the children to be different characters and pretend to pull at the vine. You can use props, and costumes too! We always love reading a good old Froggy book around here. My daughter loves the animated voices I put on when reading this one and she constantly laughs at how often Froggy gets himself into trouble. 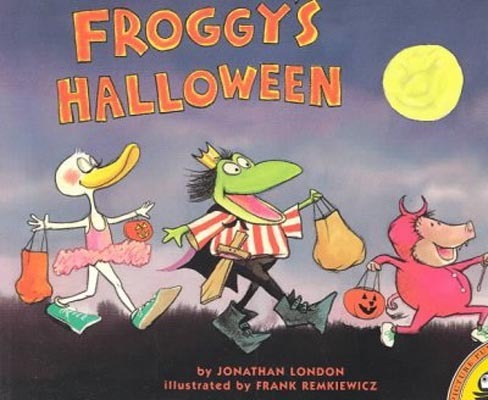 In this story, Froggy tries to find just the right costume for Halloween and although his trick-or-treating does not go as he had planned, he manages to enjoy himself anyway. Last, but not least we love reading Franklin in our home. 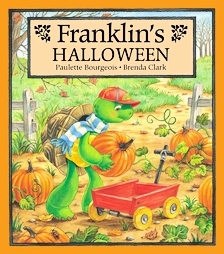 In this story, Franklin is super excited about his Halloween Party, but he becomes reluctant when he starts to think a ‘real’ ghost is at the party. Do you have any Halloween stories that are favorites in your home?